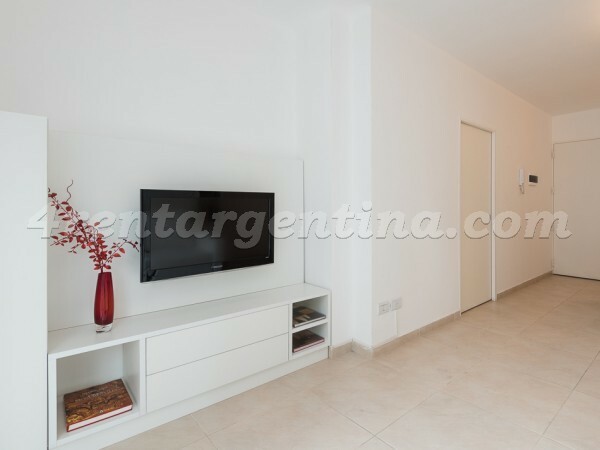 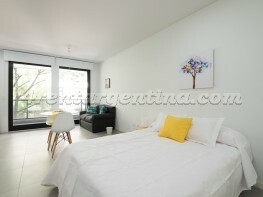 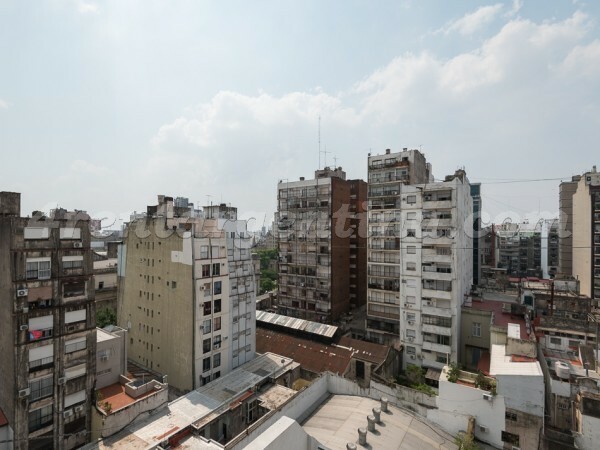 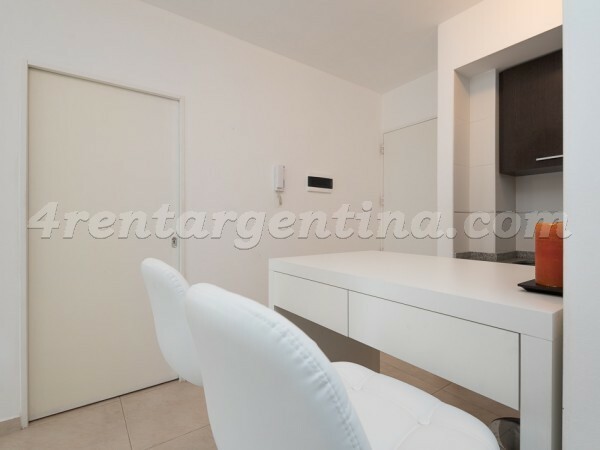 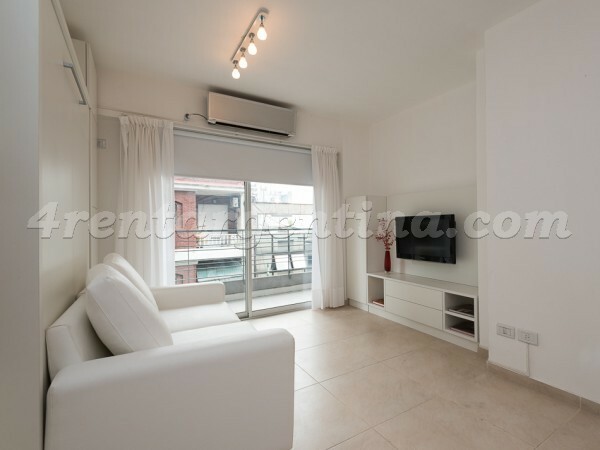 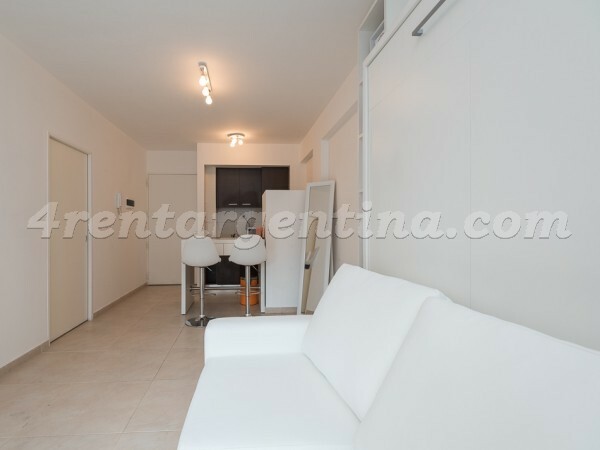 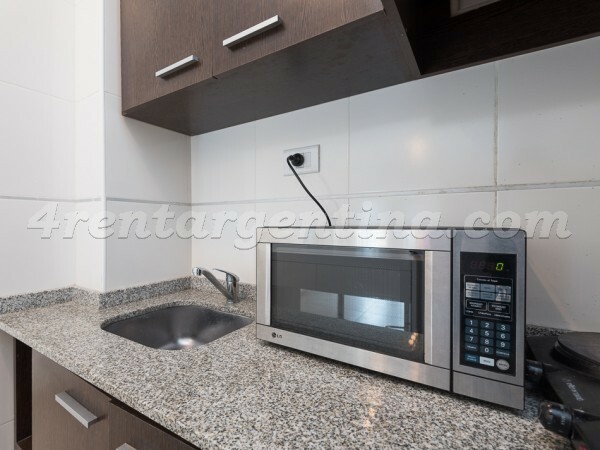 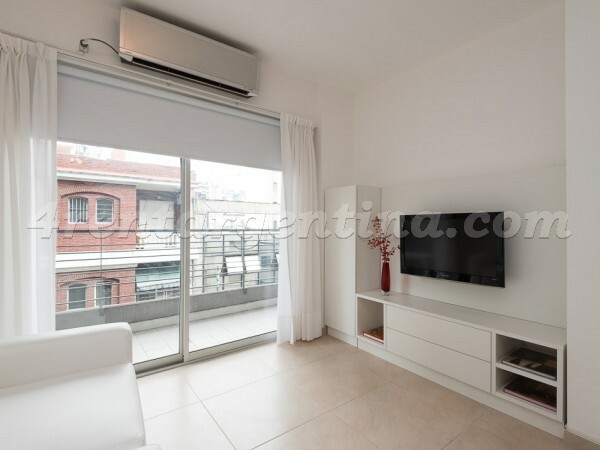 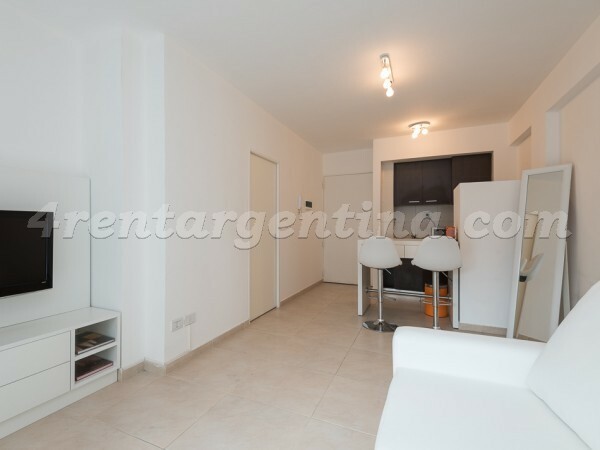 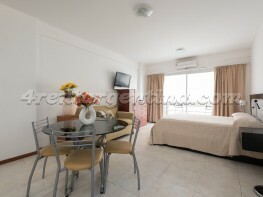 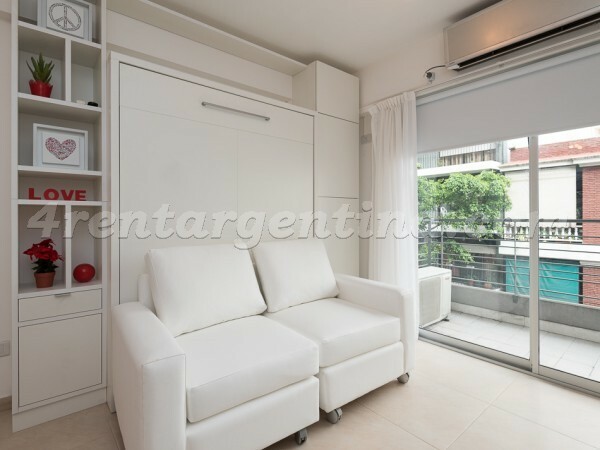 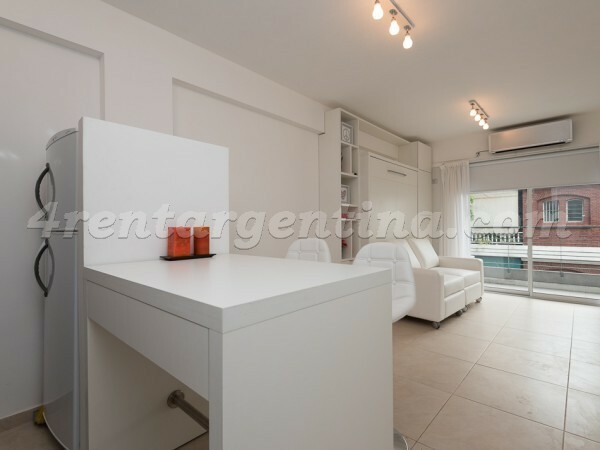 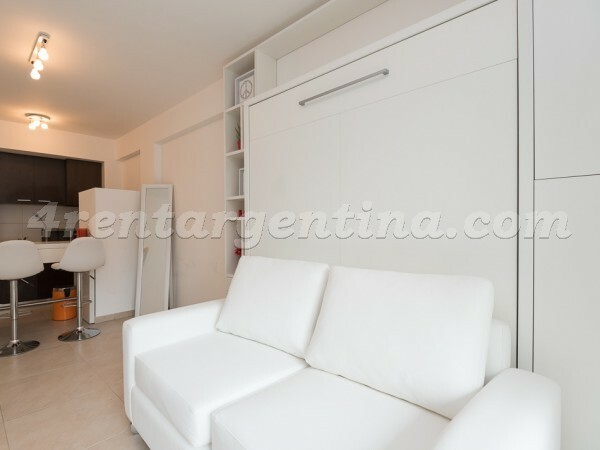 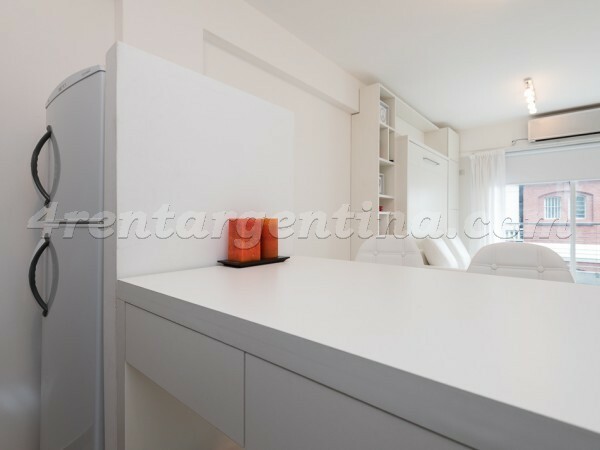 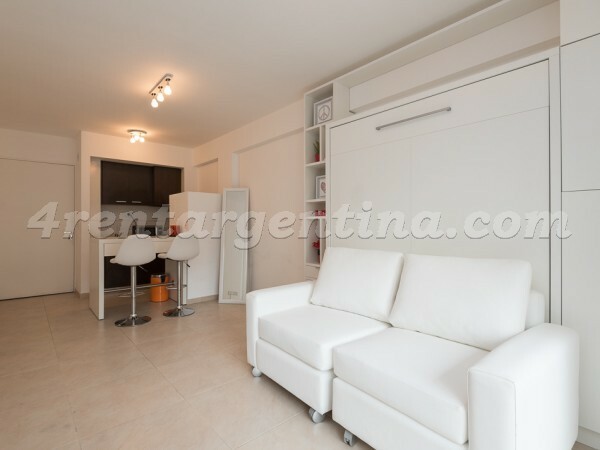 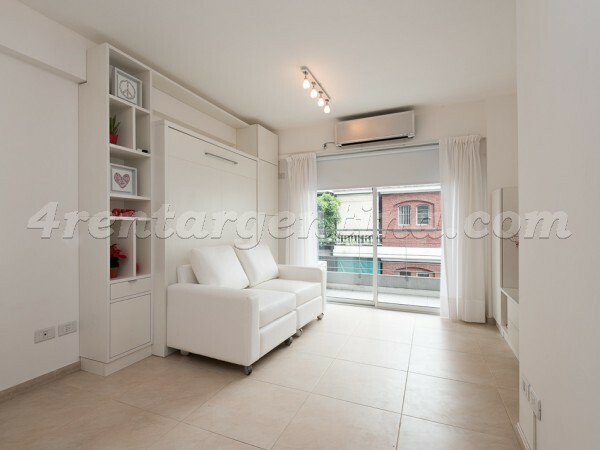 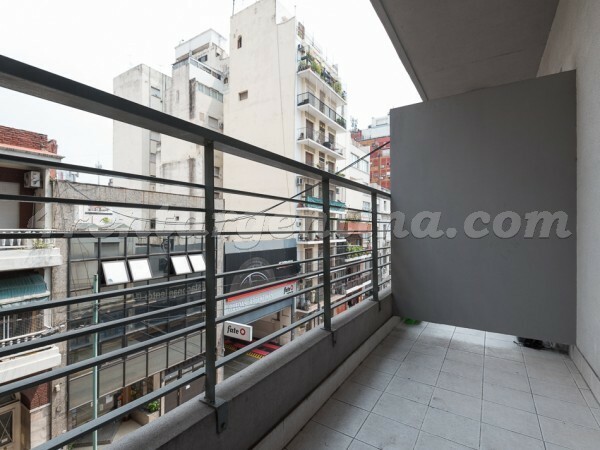 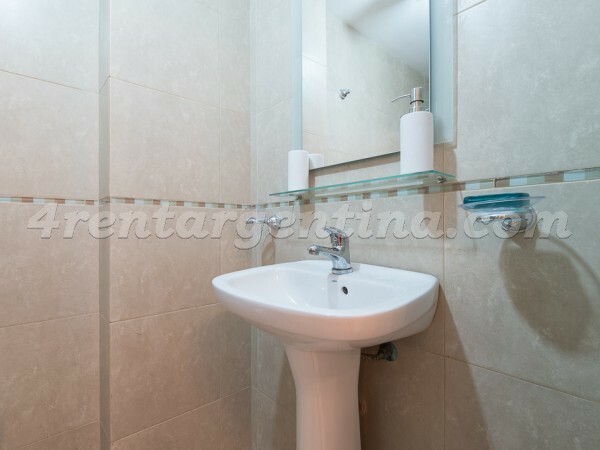 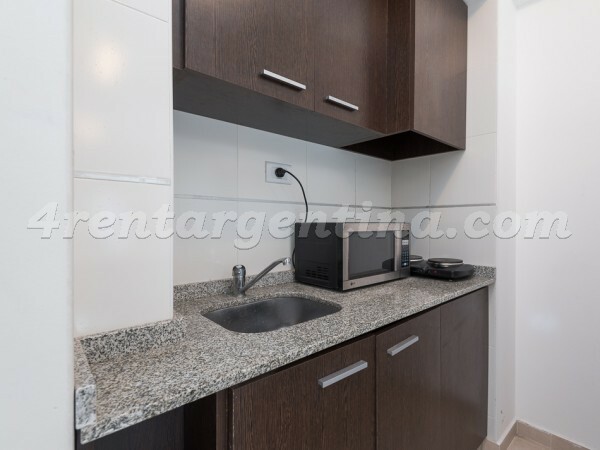 Modern furnished apartment for temporary rent in Argentina, located in the center of the city of Buenos Aires, a few blocks from Avenues Callao and Cordoba, in an area surrounded by several means of transportation where you can find shops, banks, theaters, restaurants, Bars, among others. 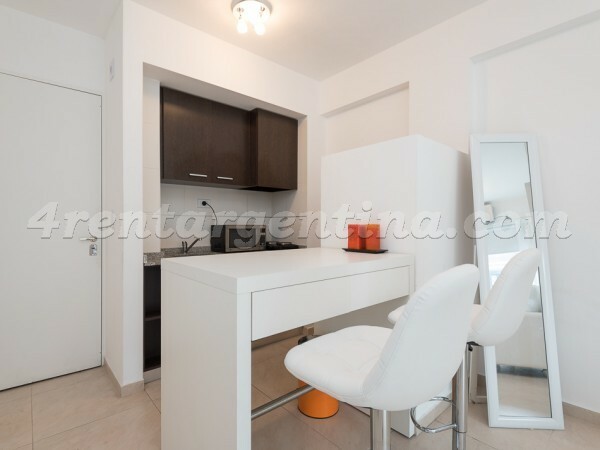 This beautiful studio apartment is ideal for two people, as it has a double bed hidden behind a special piece of furniture and a sofa, a bathroom with shower, a kitchen equipped with electric oven and a large balcony. 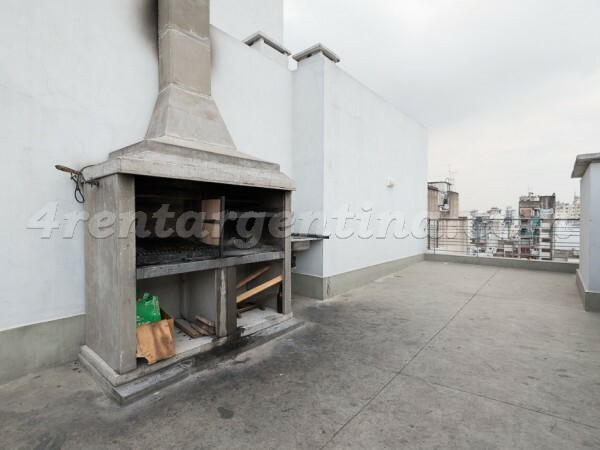 The building has a terrace, solarium, barbeque and jacuzzi.